Phil Mickelson is an American professional golfer who through agonizing defeats and great victories, rose to become one of the most popular and accomplished golfers of his time. 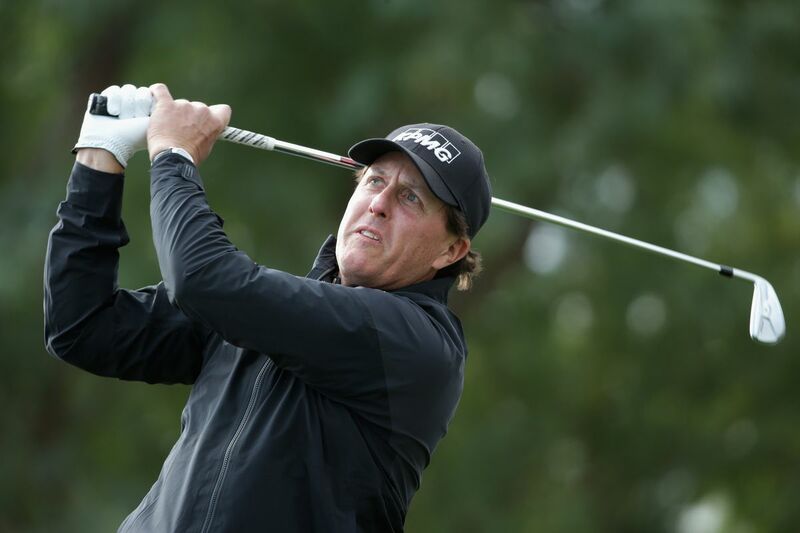 Regarded as the golden boy of golf and the best left-handed golf player ever, Phil Mickelson is popularly known as a risk-taker on the golf course. Find out more about the famous golfer who has won more than 40 PGA titles. 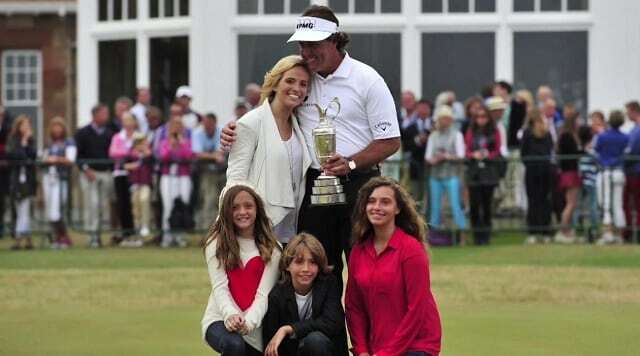 Philip Alfred Mickelson was born on June 16, 1970, in San Diego, California to Phil Sr, and Mary Mickelson. His father was a Navy fighter and commercial pilot while his mom was a nurse. He has a sister Tina and a brother Tim. Also raised in San Diego, Mickelson who seems to have been born with golf genes, began hitting golf balls before he was even two years old. At age three, he unsuccessfully tried to run away from home in order to go play golf with his dad at a local course. Mickelson attended the University of San Diego High School and later the Arizona State University where he studied psychology. His golfing career began in his teenage days as an amateur. Though he is naturally right-handed, Mickelson learned to play golf as a lefty. Mickelson’s fierce and aggressive talents on the golf course started manifesting as a teenager. Not only did he win 34 San Diego Junior Golf Association titles, he also won three consecutive American Junior Golf Association (AJGA) Rolex Player of the Year awards as well as a full golf scholarship to Arizona State University. While at ASU, Mickelson became the first left-handed golfer to win the U.S. Amateur title in 1990. He also won his first PGA Tour tournament as an amateur in the same year, a feat accomplished by only three other golfers in PGA history. As a collegiate golfer, his outstanding and elite skills on the course won him three NCAA individual championships and three Haskins Awards before turning professional at age 22. Despite his powerful swings during play, some of Mickelson’s risky decisions on the golf course cost him great victories such that he was once described as ‘the best golfer never to win a Major’. But that ended when he surprised both fans and critics with a dramatic victory at the 2004 Masters Golf Tournament. He has gone on to become one of the most dominant golfers in the world after winning three Masters title (in 2004, 2006, 2010), a PGA Championship in 2005 and an Open Championship in 2013. Though the lefty golfer has slowed down his play momentum due to health reasons, Mickelson is still active on the golf course and remains a favorite to win most tournaments. In March 2018, he continued his winning ways and claimed the 2018 WGC Mexico Championship after defeating Justin Thomas in a playoff. Phil Mickelson is married to Amy McBride. The couple were college sweethearts at Arizona State University from when Amy was a junior and cheerleader with the Phoenix Suns for the NBA team, while Phil was a senior collegiate. After dating for four years, they tied the knot on Nov. 16, 1996. Phil and Amy have three children together: Amanda born in 1999, Sophia born in 2001, and Evan born in 2003. Amy has survived a major health scare as she was diagnosed with breast cancer in 2009 but after an 11-month battle with support from her husband, family, friends and the golf world at large, she beat cancer and has since been living with a clean bill of health. Phil and Amy are heavily dedicated philanthropists. The couple who have both survived some major health scares have been helping and giving back to the society through The Phil And Amy Mickelson Foundation. Phil and Amy’s marriage has been described as one of the most successful pro sports marriages. Over the years, the couple has grown their family through good and rough times as well as among their peers in the PGA Tour world. Amy is known to be present at almost every one of Phil’s tournaments cheering him on from the sidelines. She is well loved and respected in the golf community and is regarded as a veteran mother to other PGA Tour spouses. For an athlete, Phil Mickelson used to have unusual dimensions especially regarding is weight. Phil who stands tall at 6 ft 3 inches (189 cm) and weighs 91 kg (201 lbs) has over the years, managed his weight through some diet and exercise plans in order to look more athletic befitting of an elite and legendary golfer.